Yeah. You know how there's a common conceit that all modern cars are boring? Well, pipe down; Pagani wants a word. 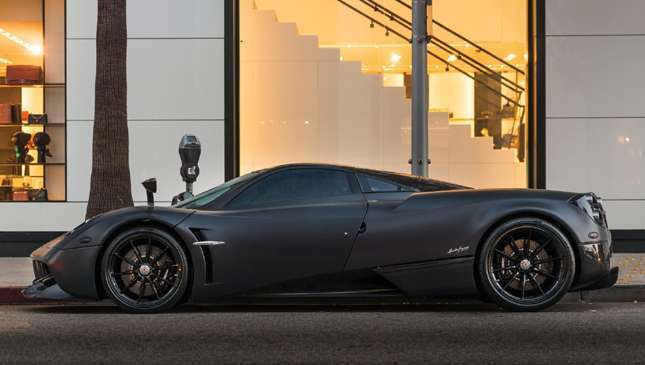 Is that a standard Huayra? Is there such a thing as a 'standard' Huayra? Or Pagani, for that matter? In any case, this isn’t a standard Huayra. It has something called the 'Pacchetto Tempesta'—'Storm Package'—and it confers some serious benefits, at a very serious price. The Tempesta pack alone costs £126,000 (P8.3 million), and gets you a trick aero package developed with Dallara, lightweight rims and a hand-welded titanium exhaust. 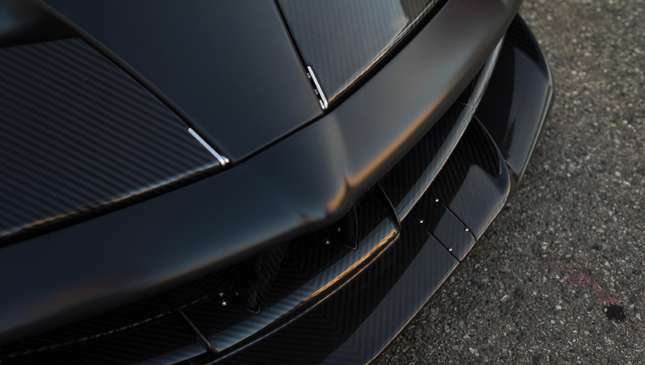 The gist is that famed chassis developers Dallara collaborated with Pagani to work on the front splitter, rear diffuser and underfloor aero profile. 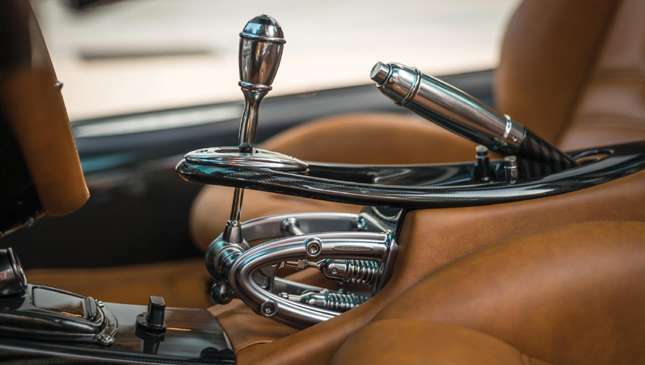 The revisions were so successful that Pagani developed four-way adjustable shocks with Ohlins, in order to deal with the new demands of a high-downforce setup. I hear that term a lot. What does four-way adjustable even mean? Well, a shock absorber—also known as a damper—works in two directions: compression and rebound (or return). If you can adjust the amount of damping on both the compression stroke and return, you could say that it's two-way adjustable. But four-way? Sounds like madness, right? Shocks don't work in four directions. 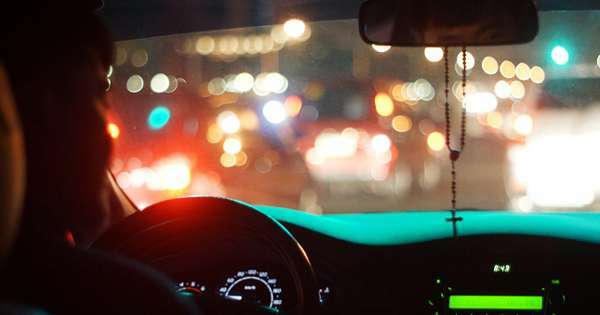 What shocks can do, however, is work quickly or slowly—it stands to reason that the way a shock behaves over a sharp pothole will be different than a long undulation in the road. This is known as high-speed and low-speed. And some very good shocks can be adjusted for high- and low-speed compression, as well as high- and low-speed rebound. That engine bay is a work of art. Indeed. Embedded within is a 6.0-liter, twin-turbo V12 sourced, of course, from Mercedes-AMG, tuned here to produce 720hp and 999Nm of torque. Incredible. 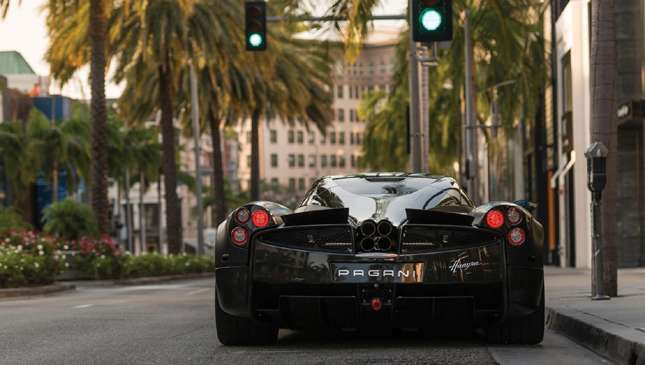 Is everything on a Pagani built to look astonishing? Correct. Now please admire the exposed gear linkage. Tell me a bit more about the aero. On top of the Tempesta pack, the Huayra has four independently operating flaps on each corner of the car. They're controlled by the ECU, and instantly adjust to reduce drag, serve up more downforce, or just rein in the body roll depending on how heavy your right foot is and your apex-clipping abilities. Hey, you asked. And now it's our turn to ask you a question: Have you actually been reading, or have you been ogling the incredible, Disneyland-for-grownups engineering and styling? May have been a bit too interested in those bespoke leather bags. Oh yes. 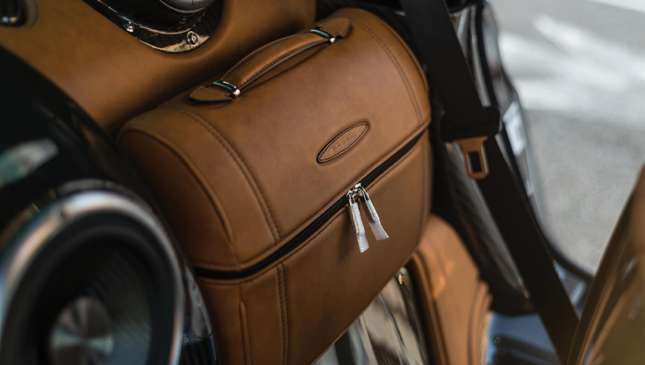 The leatherwork throughout the Huayra is something else entirely, from the door to the seats. 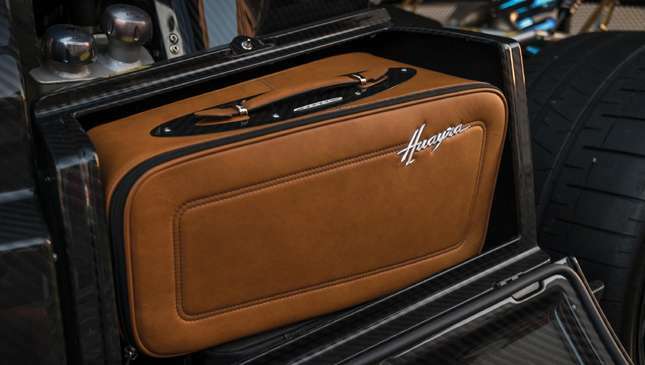 But finding specially fitted luggage—a $20,000 (P1 million) option on this car, no less—and made from the same leather? It makes us wonder what to keep in there. A little off topic, though, aren't we? You're a little weird, aren't you?